Congratulations to Michael Phillips and Jack McShane on their win in the Zone 10 under 18 pairs. Congratulations to Michael Phillips on winning the Zone 10 Under 18 singles defeating club mate Jack McShane in the final. Congratulations to Michael Phillips, Zelkjo Trbara and Mick Harry on their Runner's up performance in the Zone 10 triples. Congratulaions to Gary Tidyman, Nick Micallef, Joe Ivanic and Mark Smith on winning the Zone 10 over 60 fours. Congratulations to Lisa Prideaux and Val Smith on winning the New Zealand National Pairs. Congratulations to Women's "Gold" side who qualified for the State Finals in the Women's Gold division of the Club Challenge. Congratulations to the ladies that played!! Congratulations to J. Edwards on winning the World Champion of Champion Singles. Congratulations to J. Bird on being selected to represent the Womens NSW over 60 side. Congartulations to D. Holt on his equal 3rd finish at the State Champion of Champion singles finals. Congratulations to T. Imer on his equal 3rd finish in State Over 60's SIngles at the State Finals. Congratulations to M. Phillips on winning two gold medals at the Australian Schools Championships and on being named player of the championships. Congratulations to S. White and S. Thompson on being selected to represent City side. Congratulations to M. Clarke, N. Burkett (subbing for S. White) and S. Thompson on winning the regional final of the BPL Cup and qualifying for the State Finals. Congratulations to C. Gillard, V. Ohmsen, S.L. Jones and J. Rolph on finishing equal third in the State Over 60's Fours. 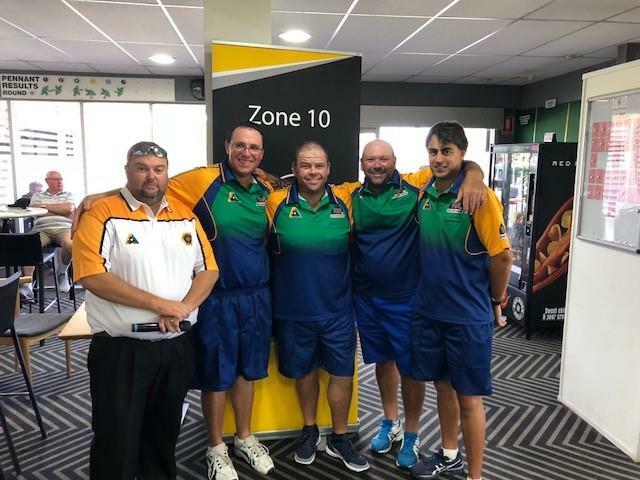 Congratulations to the Merrylands players – P. Harry, S. White, D. Holt, M. Clarke and T. Wood on being selected to represent the Zone 10 side at the 2018 Inter-Zone. Also to M. Phillips on being named as a reserve. Well done to all from everyone at Merrylands and good luck to the Zone 10 side. Congratulations to David Holt on winning the Zone 10 Champion of Champion Singles. Congratulations to Shawn Thompson on being selected in the Bowls NSW Reserve side. 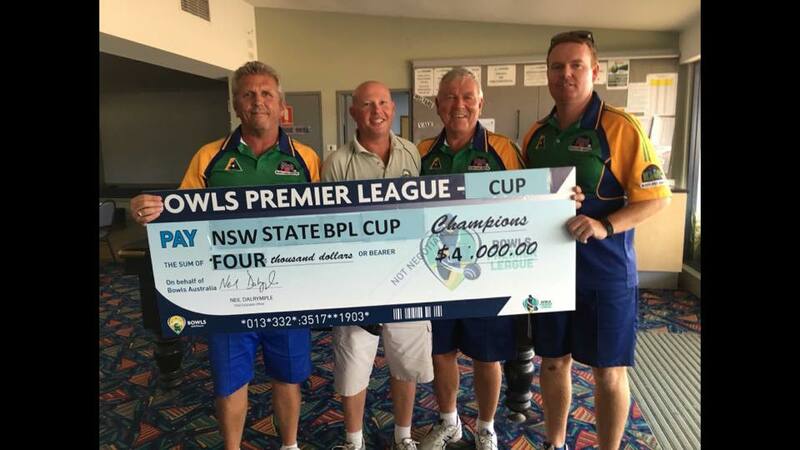 Also congratulations to Michael Clarke and David Holt who have been selected in the Bowls NSW over 40 side. Congratulations to D. Holt, H. Lewis, T. Wood S. White, M. Clarke, S. Thompson, M. Phillips and P. Harry who have been selected to represent Zone 10 against Zone 12 at Merrylands on Sunday August 5th. Also congratulations to N. Russell, J. Walker and C. Mathers who have been selected in the Zone emerging side to play against Zone 15 at the same time. Congratulations to D. Holt, H. Lewis, T. Wood S. White, M. Clarke, S. Thompson and P. Harry who have been selected to represent Zone 10 against Zone 5 at Merrylands on Sunday August 5th. Also congratulations to N. Russell, J. Walker and M. Phillips who have been selected in the Zone emerging side to play against Zone 15 at the same time. Congratulations to D. Holt, H. Lewis, T. Wood S. White, M. Clarke, M. Phillips and P. Harry who have been selected to represent Zone 10 against Zone 9 at NBC Sports Club on Sunday July 8th. Congratulations to D. Holt, S. White, J. Walker, M. Clarke and P. Harry who have been selected to represent Zone 10 against Zone 15 at Terrigal on Sunday July 1st. Also congratulations to J. Russell and M. Phillips who have been selected in the under 18 side to play against Zone 15 at the same time. Congratulations to M. Phillips on winning the CHS singles. Congratulations to T. Imer who won the Zone 10 Senior Singles. Congratulations to S. White who was runner up in the Zone 10 Singles. Congratulations to M. Clarke and S. Thompson on winning the Zone 10 State Pairs, and to T. Ellem and D. Holt who were runners up. Congratulations to T. Wood, P. Harry, M. Harry and S. White on winning the Zone 10 State Fours. 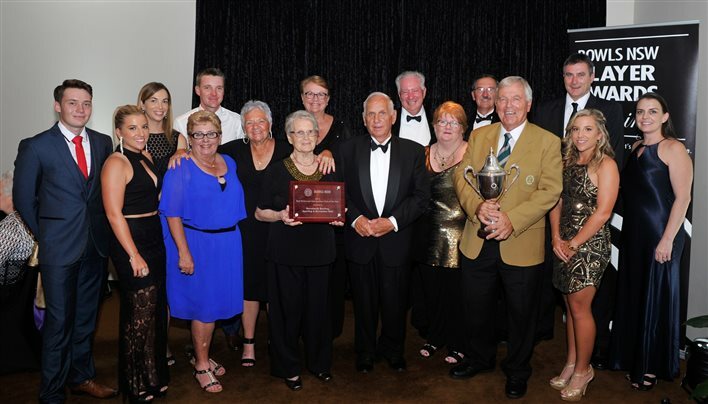 Congratulations to Dennis Harmer on being the second ever inductee into the Zone 10 Hall of Fame. Congratulations to Tom Ellem on being joint Zone 10 bowler of the year. Congratulations to Gary Reynolds on being Zone 10 Senior bowler of the year. Congratulations to Gary Reynolyds and Trevor Imer on winning the Zone 10 Senior Pairs!! Congratulations to our bowlers S. Thompson, M. Clarke and T. Wood on being selected to represent the open Zone 10 at the Inter-Zone competition.